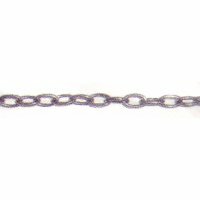 This box chain is a jewelry-type chain for hanging small projects or to chain-stop box lids. This product was added to our catalog on Monday 13 April, 2009. Notify me of updates to Pewter Oval Box Chain / per ft.